There are so many way which you use to control your Windows PC with the help of smartphone. Now Google come with a new app for Android and Chrome which allows you to access your PC from your Android. The application is free to use and available for chrome browser and Android, all you have to install these apps on your chrome and smartphone. The setup process is very easy and takes a few minutes to complete. Once the setup is done you can easily control your system with the help of one pin password and access all your files on your mobile phone. Here is the how to guide which you can follow on your Chrome browser and android to get started. As we mention above to get started you need two apps. Follow the below mention guide to setup the app on your Chrome browser and Android. 1. 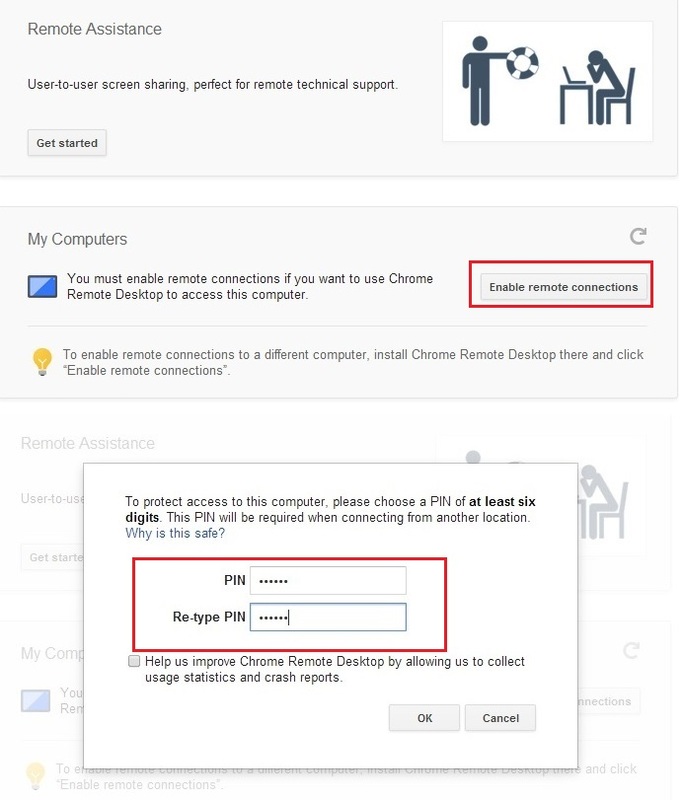 Open the Google Chrome browser on you PC and install the Chrome Remote Desktop addon on your browser. 2. Once the addon is installed it will ask you to add you Gmail account details, use the same account which you are using on your android smartphone and authorize the app to take the control of your account. 4. 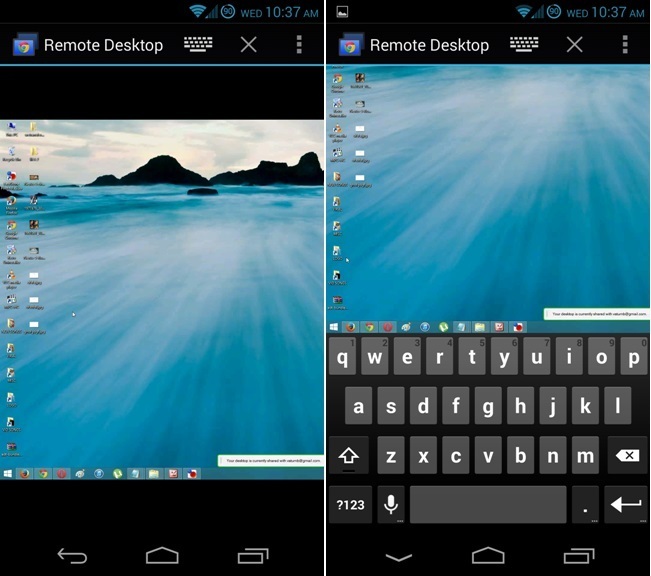 Now go to your android phone and install the Chrome Remote Desktop from the Google play store. 5. Run the app on your phone and choose the computer you want to connect to and insert the PIN code shown on the desktop app. A nice way to get access your computer files directly from your android. The application is free, and has no ads or in-app purchases to unlock additional functionality. Tried it, real nice, however, my pc is generally mlocked. I can’t seam to type my password from android phone, moving the cursor and trying to type DOES NOT open android keyboard.